Photo courtesy of American Process Inc.
GranBio has completed the acquisition of American Process Inc. and affiliate companies including AVAPCO LLC and API Intellectual Properties Holdings. The acquired assets include the Alpena Biorefinery in Alpena Michigan, U.S.A., the Thomaston Biorefinery and R&D center in Thomaston, Georgia, U.S.A., operations, research, and business development staff and an extensive intellectual property portfolio in the biorefinery, biofuels, biochemicals, and nanocellulose fields with more than 200 granted and pending patents. “Acquiring the GreenPower+®, GreenBox+®, and AVAP® biorefinery technologies and the BioPlus® Nanocellulose Technology and their associated world-class demonstration plants and exceptional operations and R&D staff is part of GranBio’s mission to become a global leader in the bioeconomy. As evidenced by the construction and operation of the first commercial-scale cellulosic ethanol plant in Brazil, GranBio is deeply committed to launching innovative biotechnologies that build a better and more environmentally safe planet for the next generations,” said GranBio President Bernardo Gradin. 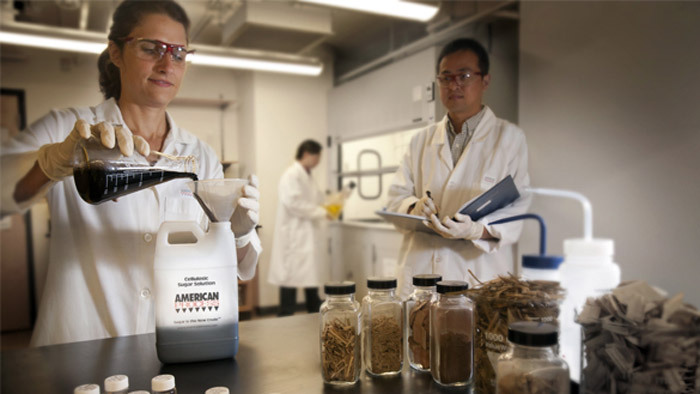 The acquisition of American Process Inc.’s technologies, intellectual property portfolio and physical assets strengthens GranBio’s market-leading position in the deployment of highly competitive industrial processes for conversion of biomass to renewable fuels, chemicals, and nanocellulose. GranBio is an industrial biotechnology company focused on commercial deployment of technologies for the production of biofuels, biochemicals, and advanced renewable materials, including nanocellulose. GranBio is a 100% Brazilian company, founded in June of 2011 by Bernardo Gradin, with a vision of setting itself apart as an industry pioneer in biofuels and biochemicals. As a biotech company, GranBio is focused on developing proprietary technologies and strategic alliances to be scaled industrially in Brazil. In January, BNDESPar invested BRL600 million (USD158 million) in the company, and holds 15% of the shares of GranBio, which is controlled by the Gradin family. GranBio operates the first commercial-scale cellulosic ethanol plant in the Southern Hemisphere. The biorefinery, named Bioflex 1, is located in Alagoas, Brazil and converts biomass from sugarcane residue, straw and bagasse into “second-generation” cellulosic ethanol.